Poet With Cerebral Palsy Speaks To Early Eugenics Movement : Shots - Health News Molly McCully Brown, who has cerebral palsy, says that if she'd been born in a different era, she might have been sent to the "Virginia State Colony," an early landmark of the U.S. eugenics movement. 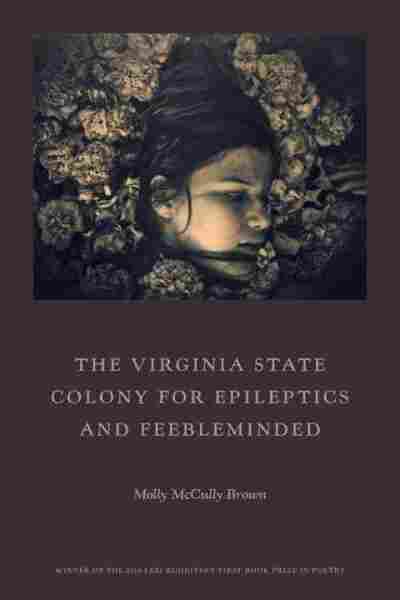 In her book The Virginia State Colony For Epileptics And Feebleminded, poet Molly McCully Brown explores themes of disability, eugenics and faith. 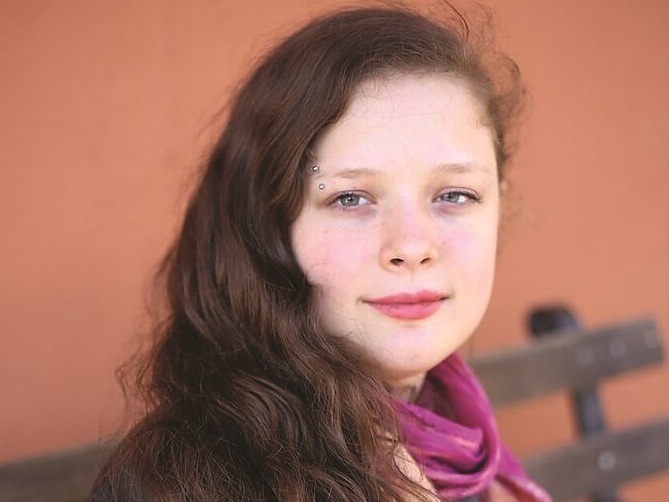 Growing up in southwestern Virginia in recent decades, poet Molly McCully Brown often passed by a state institution in Amherst County that was once known as the "Virginia State Colony for Epileptics and Feebleminded." Since 1983 the facility, which was founded in 1910, has been called the Central Virginia Training Center, and it is now a residential home for people with various intellectual disabilities. But in the early 20th century, the place Brown now refers to as "the colony" was part of the eugenics movement taking hold in the U.S., and a variety of treatments now considered inhumane were practiced there — including forced sterilization. Brown, who has cerebral palsy, notes that had she been born in an earlier era, she might have been sent to live at the institution herself. "It is impossible to know that for sure," she says. "I can look at my life and look at my family and look at my parents and think, No, never. That never would have happened. But I also understand that if I had been born 50 years earlier, the climate was very different." She hopes to give voice to those early generations of residents, in her book of poetry, The Virginia State Colony For Epileptics And Feebleminded. For Brown, the themes of disability and poetry have been constant throughout her life: "In my life, there has always been my body in some state of falling apart or disrepair or attempting to be fixed, and there has always been poetry. And I couldn't untwine those things if I tried." It was incredibly moving and incredibly powerful. The place is interesting because it is still an operational facility for adults with really serious disabilities, although it is in the process of closing. But like a lot of things in Virginia, it was initially built on an enormous amount of land. And, so, a really interesting thing happened, which is that as the buildings that were originally part of the colony fell into disrepair, they were largely just moved out of — and new buildings were built on accompanying land, but those original buildings were not necessarily torn down. So the place itself is this really strange combination of functioning facility and ghost town of everything that it has been. I've never been in a place that felt more acutely haunted in my life. We do have a strange tendency in this country to equate any kind of disability with less intellectual capability and with even a less complete humanity. Certainly as a child and as a teenager — and even now as an adult — [I] encountered people who assumed that just because I used a wheelchair, maybe I couldn't even speak to them. I often get questions directed at people I'm with, as opposed to me, and that's a really interesting phenomenon. Both poetry and theology for me are about paying attention to the world in a very intentional way, and about admitting a mystery that is bigger than anything that I rationally understand. ... I think poetry has always been for me a kind of prayer. So those things feel very linked for me. And, again, poetry does feel like the first — and in some ways best — language I ever had for mystery and for my sense of what exists beyond the world we're currently living in. One of the things that I find so moving about Catholicism is that it never forgets that to be a person is inherently and inescapably and necessarily to be in a body — a body that brings you pain, a body that brings you pleasure, a body that can be a barrier to thinking more completely about your life and your soul — but [that it] can also be a vehicle to delivering you into better communion with the world, with other people and to whatever divinity it is that you believe in. What Catholicism did for me, in part, is give me a framework in which to understand my body as not an accident or a punishment or a mistake, but as the body that I am meant to have and that is constitutive of so much of who I am and what I've done and what I hope I will do in the world. More and more ... I've come to see my body as a place of pride and potential, and as something that gives me a unique outlook onto the world. And I'd rather that, I guess, than be infuriated by it. I do think that that sort of gave me no other option than to believe in some kind of something beyond this current mortal life that we're living. Because what is the explanation otherwise for the fact that I feel like I miss and I know this person who only lived a matter of hours? And for the fact as much as I know that she is dead and is gone in a real way, she doesn't feel "disappeared" to me. I think the easiest way I have of describing it is I have two [early] memories. ... One of them is of sitting on a table in a hospital room in the children's hospital in St. Louis, choosing the flavor of the anesthetic gas I was going to breathe when they put me under to do my first major surgery. I was picking between cherry and butterscotch and grape. And the second memory that I have is of my father reading a Robert Hayden poem called "Those Winter Sundays." Roberta Shorrock and Therese Madden produced and edited this interview for broadcast. Bridget Bentz, Molly Seavy-Nesper and Deborah Franklin adapted it for the Web.